As per renders, OPPO Reno will be made available in four different color variants Fog Sea Green, Nebula Purple, Mist Powder and Extreme Night Black. OPPO Reno, the upcoming flagship smartphone from the Chinese smartphone maker has once again made headlines today. Scheduled to be launched on April 10, 2019, in China, the smartphone has been leaked in full glory in official renders that shows all the color variants of the handset. 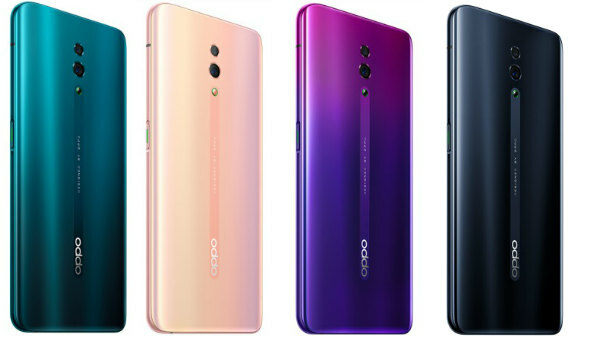 As per the newly released renders on a Chinese origin e-commerce website, OPPO Reno will be made available in four different color variants to the masses in China. The color variants include- Fog Sea Green, Nebula Purple, Mist Powder, and Extreme Night Black. All the variants look strikingly appealing and showcase the full-screen notch-less display of the handset. Contrary to the fact that the smartphone was touted to come with a triple-lens camera setup featuring 10x loss-less zoom, the new renders only show a dual-lens camera module at the back panel of the handset. Brian Shen, OPPO VP also teased the 10X zoom feature but seeing the renders, it seems highly unlikely that the smartphone will boast the zoom lens. Instead, the particular variant shown on the Chinese retailer website might come with a 48MP main sensor aided by a depth sensor to create the bokeh effect. We believe this might be a less powerful variant of OPPO Reno running on Snapdragon 710 CPU. OPPO might be saving another variant of OPPO Reno for the launch event that will offer the 10X zoom feature boasting the flagship Snapdragon 855 chipset. We might get to see a Periscope styled camera setup to achieve the 10X zoom. It will be interesting to see how the OPPO Reno stands against the Huawei P30 Pro which was recently launched in Paris and offers a 50X Digital Zoom. 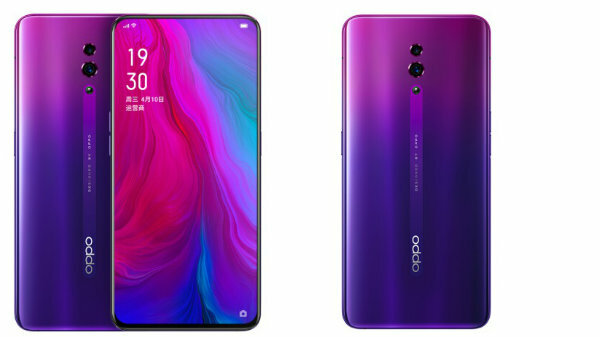 The newly released renders of OPPO Reno show a full-screen edge-to-edge display up front with extremely thin bezels. The display is rounded off from all the corners and the rear panel looks quite minimal and elegant. The Chinese retailer website also shows some camera samples captured by OPPO Reno. The images look quite crisp and vibrant but we cannot confirm the authenticity of the sample shots yet. Notably, OPPO Reno pegged for April 10 launch is expected to come in two variants. One variant is touted to be powered by the Snapdragon 710 SoC, while the flagship one will run on the Snapdragon 855 chipset. Recently, the smartphone cleared Bluetooth SIG certification with the model number CPH1917 for the Snapdragon 710 variant and CPH1921 for the 5G variant. The Snapdragon 855 edition of OPPO Reno is expected to boast a FHD+ display with a resolution of 2340 x 1080 pixels. The smartphone is also expected to feature copper tube liquid cooling technology to prevent overheating while running the strenuous tasks. OPPO Reno is likely to be backed by a big 4,065mAh battery unit supported by the company's VOOC 3.0 flash charging technology. As mentioned, OPPO Reno will launch on April 10 in the Chinese market. 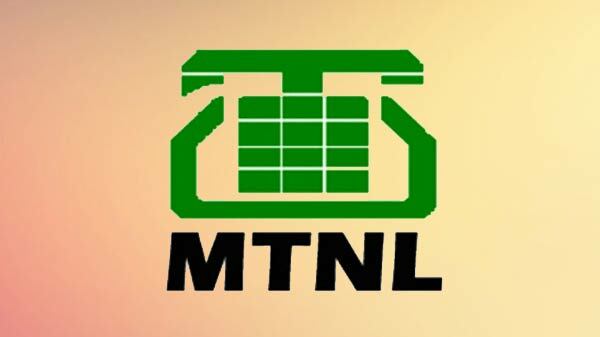 There's no word from the brand on the global availability of the handset yet.